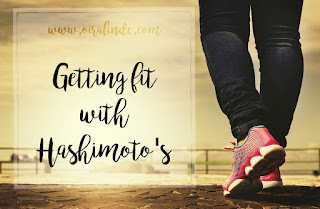 Getting healthy is as simple as making the right choice again and again and again. Each time you make the right choice, you are one step closer to your goal. This past week I made two small choices that were hard to make but are victories for me. Friday night I went grocery shopping (alone!!) and was tempted with my absolute favorite candy, the Reese's Peanut Butter Cup. Not only was that delicious candy staring at me, but they had it in the refrigerator, just waiting for me to take out and eat. Cold peanut butter cups are my kryptonite. But guess what? I walked right by. I wouldn't have been able to do that a month ago but I now know how I can feel when I don't eat sugar. Sure, I have cravings, but the cravings are less than the feeling I have when my body is fueled by real food! that I shared with Kaelyn and Miles, so I only had a taste of it. I wasn't going to completely deprive myself, but I was able to join in the festivities in a way that would not destroy what I have worked so hard to build this month. These are just two choices I made this week, but I am beyond thrilled I did. I could have eaten whatever I wanted, but then I would feel terrible. Since changing my diet, I don't even like the sweet foods anymore. Coca-cola is too sweet. The kids' Chef Boyardee sauce at lunch today tasted disgusting. Feeling strong and healthy is so much more alluring than the sweets and garbage I used to eat. 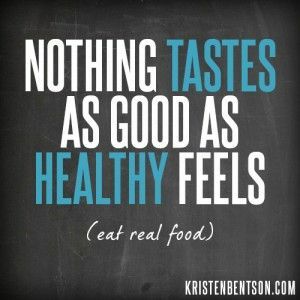 Nothing tastes as good as healthy feels!